[dropcap text=”A” color=”” bg=”” style=”square”]t JB Plumbing, we offer water regulator installation services in Los Angeles and the surrounding areas. A water pressure regulator is a safety device that is intended to regulate the water pressure in your home. It is designed to prevent the pressure from getting too high, while keeping the water pressure high enough to supply sufficient pressure from shower heads, faucets, and taps. 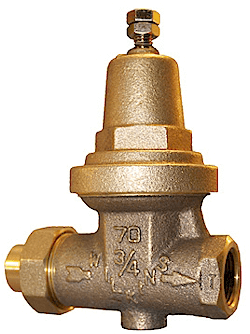 The regulator itself is generally located on the exterior of your home and near the water main. Having a regulator installed is required for each residence to keep the water pressure functioning properly and avoid damage to plumbing equipment, which can happen with water pressure that is too high. It is essential to have your water pressure regulator professionally installed to ensure that it is professionally installed and operating properly. When installed correctly, pressure regulators can increase the lifespan of plumbing systems and fixtures. At JB Plumbing, we have experienced technicians to provide installation of water regulators.